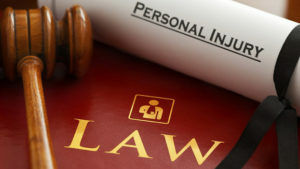 What is the Deadline to File a Personal Injury Claim? In New Jersey, there are deadlines by which a claim must be put on notice or filed with the courts. These are called Statute of Limitations or notice of claim deadlines. For example, in a car accident or a fall-down case you have two years from the date of accident to file a lawsuit in the court or it will be too late to bring a claim on your behalf. This is all you really need to know when filing a claim against a private party, such as the person who was driving the car that hit your car in an accident. However, while the statute of limitations still applies to public entities, there is also another factor that you must be aware of in order to bring a claim against a public entity called a notice of claim. Without a notice of claim, you cannot bring a case against these particular entities. In a notice of claim situation, certain public entities such as the Port Authority of New Jersey, fire departments, schools, parks, etc., have deadlines of sometimes 90 days or 6 months depending on this particular situation by which you have to notify them in writing of your intent to bring a claim or you may be barred from bringing a claim down the road. That is why it is so important that you contact my office as soon as possible after being injured so we can make sure that all of your deadlines and all of your Statute of Limitations are met.